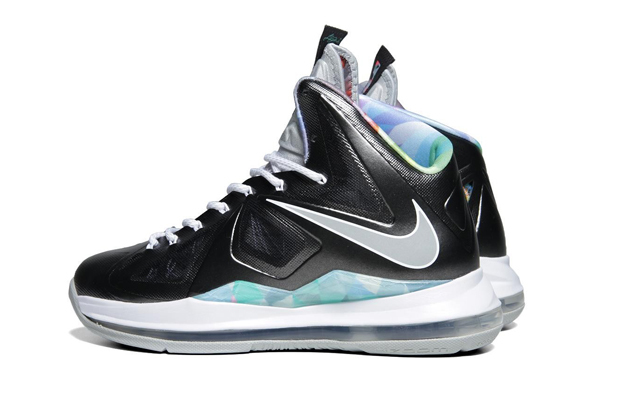 The tenth instalment in the Nike LeBron signature line is one of the best yet, with it’s strong angular design elements and superior performance technology. This release, aptly placed with ‘Prism’ name tag, uses the dynamic aesthetics to achieve a striking and clean looking piece of footwear. 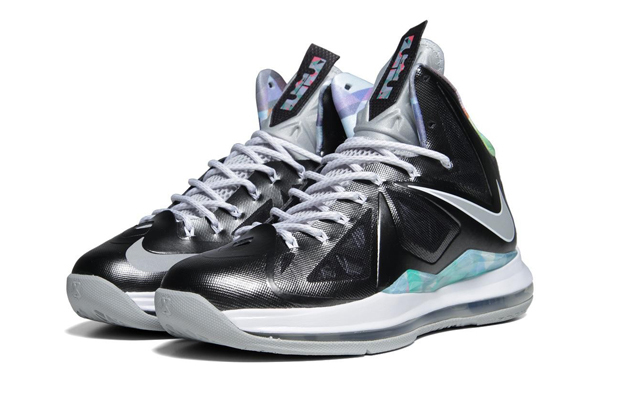 The term “icy” is a word we tend to hear a lot when conversing enthusiastically about a favourable shoe, and when looking at the new LeBron X “Prism” that word instantly springs to mind. 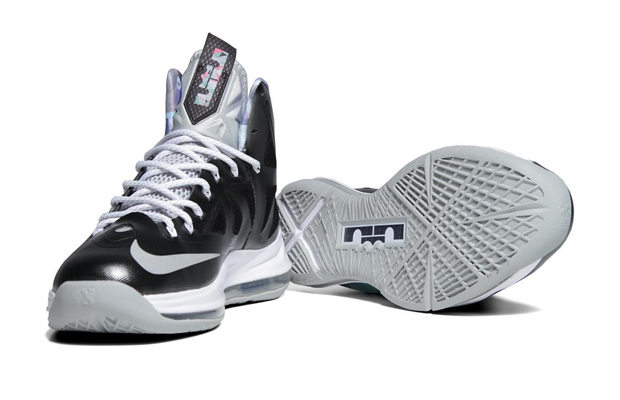 These literally look like ice. 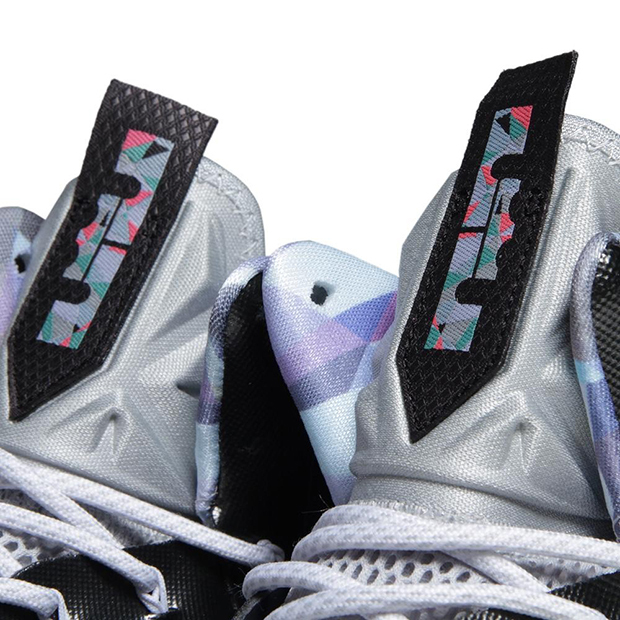 This Prism inspired make-up works perfectly with the progressive looks of the LBJ X and the simple colour palette here also plays well in to the hands of those who lean more towards watching basketball, rather than playing. The dominant black and white upper masks some of the more futuristic performance elements of shoe, which paves way for hits of the prism inspired pastel colour palette in the mid section and on the tongue. 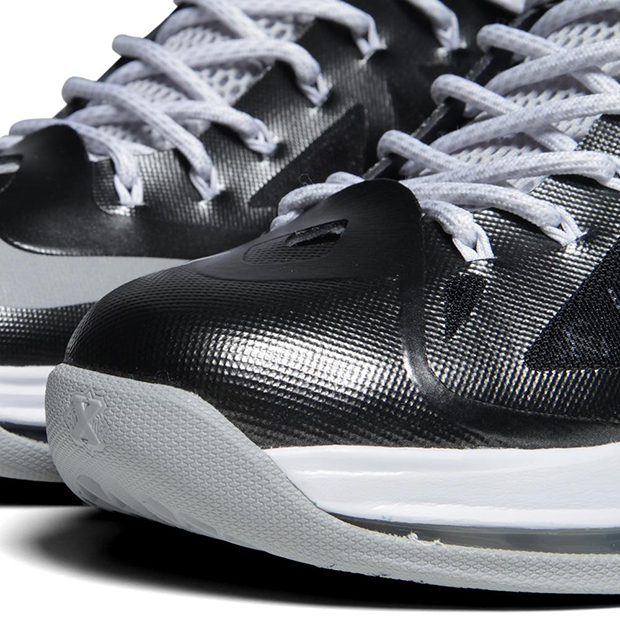 Even with its incredible aesthetics, the LeBron X is still a performance shoe at heart. You’ll find a layering of technology with Hyperfuse incasing Flywire underneath for a lightweight, supportive and comfortable upper. 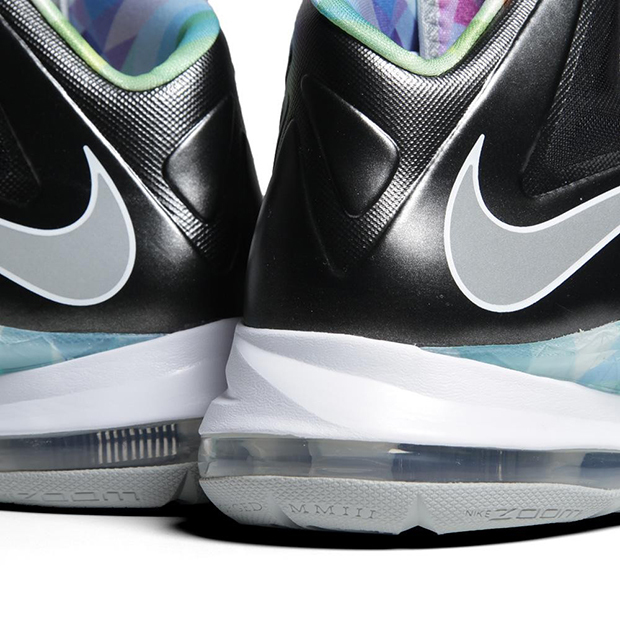 To top things off the combination of Hyperfuse and Flywire sits on a full length Zoom air unit, providing superior and responsive cushioning.